Jasper conflicts me. The aesthetics of the landscape imagery, pleasant in my mind, jars with the hillbilly topic. It’s a topic that strikes me as having run its course; the images feel cliché. This might be a consequence of my frequent visits to the Blue Mountains in Georgia; many of the pictures seem familiar. Poor, smelly, messy, violent, inbred, uneducated, crude, vulgar, mountain people; creepy is apt. This is the impression left with me; it is one-sided. Yet, in our post-modern, relativistic world the reaction might be a reflection of the distance from myself and my position. The book describes an ‘other’ I don’t ponder; one I’m fearful of. Do I really need to care about these people? Poverty unaddressed, perpetuated by an uncaring society; one that says ‘fend for yourself or fail'. Should society do something? Should we individually care? Should we individually help? An act of support through community groups is hit and miss, an act of government is a sign of a socialist state, curtailing free will, anti-democratic, or so goes the rhetoric. It is this reaction of mine that is the source of conflict. If I didn’t see the work, I wouldn’t think about these things. Should I spend thought cycles on this subject or should I return to my location of privilege. David duChemin's recently published ebook Ten Ways to Improve Your Craft. None of Them Involve Buying Gear reminded me of something a well-known academic writer once said at a conference: most academic books of 300 pages have less than 40 pages of real content. DuChemin's ebook gives you 33 pages of content in a 33 page ebook. An ebook is a PDF version of a fully produced book, downloadable immediately on purchase. I enjoyed the book in part because of its focus and avoidance of the peripheral. The descriptions resonated with me and I understood what he meant. DuChemin offers exercises that are deeper and more thoughtful than go out and take pictures. After reading this book I understood the relationship between Shutter Speed, Focal Length, Aperture and what they mean to composition. My drawing below represents that understanding. David duChemin is a photographer located in Vancouver British Columbia, his web site is named the PixelatedImage: The Travel and Humanitarian Photography of David duChemin, and his ebooks can be found on that site under the books menu for a cost of $5. I purchased all 4 of his ebooks. His career seems to be founded on controversy through the expression of extremes: a rock-star son of a preacher; a satanic performer with a 5-handicap. His early decision-making process seemed to be based on the evaluation their parents will hate it but the kids will love it. Interest, for me, derived from two sources: having seen Alice Cooper in concert and his coverage of golf. While it is interesting to hear about his musical career and all the people he met and worked with, it turns into a series of names, places, and stories. I think you could stick any name on the cover of the book; it would be hard for me to differentiate. This is not the biography of some famous political figure who is able to offer insights into some global-political event that you might care about or have cared about; it is one of a fairly major rock star of the 1970's, who happens to play golf. That was enough for me and I enjoyed the light read. Having recently purchased a digital camera, I wanted to fast-track through the learning curve. Well, completing the learning curve over the weekend may be aggressive, but this is a good book to start with. 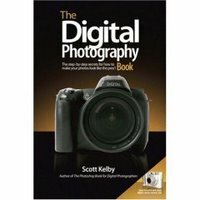 It is written in easily consumable language, an informal style, it focuses on only a few fundamentals and describes how to take specific types of pictures. The book can be read in only a couple of hours but it is structured so it can be used as a reference for later. 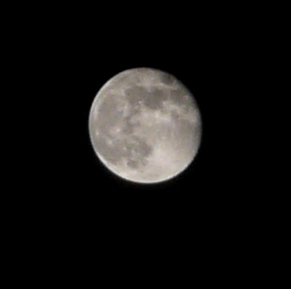 For example, to take a shot of the moon, the instructions are: in manual mode f/11, shutter 1/250 second; zoom as tight as possible. 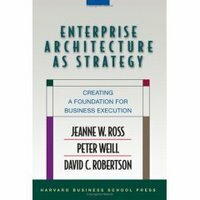 Enterprise Architecture as Strategy, Jeanne W. Ross, et al. In this book the authors refer to Enterprise Architecture as a model describing the key elements - process and data - of a business. They differential EA as described in the book from the IT EA comprised of four tiers (business process, application, data and technical architectures). Some might call the author's architecture a Business Architecture. The argument the book puts forward is that there are a set of core business processes and data that a business needs to get right. They are foundational in the sense that other business activity will build from them. The authors make an analogy with basic human functions like breathing, blood circulation - all brainstem functions. They are key activities but we don't have to think about them, leaving us time to consider higher level activities. The authors argue that if foundational processes and data are not established (and thus built upon) they will be rebuilt for every project; they will never be optimized; they will always consume management cycles. The authors state that each company has varying degrees of standardization of business processes and integration of data. This combination they call the operating model. Through their research, the authors have characterized four different Operating Models: Diversification, Unification, Co-ordination, and Replication. Diversification refers to an operating model with low standardization and integration. A Unification model is where there is high standardization and integration. Co-ordination refers to high integration but low standardization. Replication refers to low integration but high standardization. It should be noted that the authors use relative terms low and high to describe the levels of standardization and integration so even in a Diversification model, technology standards may be developed and deployed such as common products, computing centres, call centres, branches. While the authors present four simple types of operating models, real-world practice is likely a little more complex. Different operating models could be at play at different layers of the organization. For example, while the enterprise as a whole could share certain data and process (e.g., related to employees and financial information) individual business units could be quite centralized within themselves. The key outcome of identifying the operating model is the establishment of a core set of operating principles that can be governed against and applied consistently across projects. Determmining one's operating model, or where one would like to be is a hard task and must be done at a senior executive level. The EA diagram reflects the specific processes and data shared. Typically the elements highlighted in the diagram include process, data, customers, channels. Ultimately, the objective is to deploy the foundation (of process and data). The authors cite specific steps and activities towards that goal. Broadly, the first steps are to identify the operating model, then the corresponding processes and data as appropriate followed by documenting the EA Diagram. The authors recommend against a big-bang approach favouring an incremental approach: building the foundation one project at a time. This they argue distributes the cost and risk; gradually increases the robustness of the foundation; proves out the Enterprise Architecture (and implicitly allows time to refine). "without effective IT Governance, there is no clarity about who makes what decision and how those people are held accountable. Without good project management, projects risk cost and schedule overruns and failure to meet objectives. Without effective linking mechanisms, there are no regular opportunities to have discussions and make decisions about a project's ability to leverage the foundation and contributes to the foundation's evolution. " For organizations executing the deployment stages the authors explore three different outsourcing models (partnering, co-sourcing and transaction) and recommend which model is appropriate given an organization's architectural maturity. The key message here is that while one outsourcing model may be appropriate when an agreement is signed, it may need to be revisited as the organization matures. Finally the authors explore how to achieve profitable growth in each of the four operating models. As before, real case studies are provided to support the thesis. Building upon a foundation is not a new idea and while many of the practices cited by the authors will be familiar, the book provides a useful description of a complete approach allowing one to link together the pieces and identify gaps. It shows the relationship among business strategy, architecture, development process, project management, outsourcing and governance. As well relevant best practices and results others have achieved are provided offering potential benchmarks. By focusing at the business level, rather than the technical level the book provides a context for many of the technical strategies we consider, such as Web Services and Services Oriented Architectures, and properly positions them as solutions not objectives. 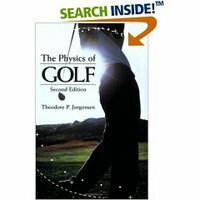 "There are a number of players who devote enough thought, time, and practice to the game to make them reasonably good golfers if they might start out with an accurate conception of what they want to do; but in many instances there is a confusion of ideas making intelligent progress impossible"
And thus I proceeded into the book with the hope that it would provide me that accurate conception, well-founded on Newtonian Dynamics. Like my university physics books, this is not one you sit down and just read. This is one for study. 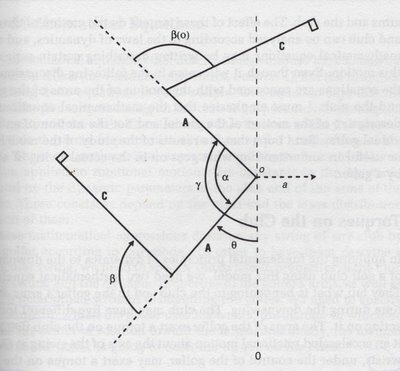 The author presents a basic model conceptualized according to a pendulum and refined by those of the bullwhip. He tests the model against actual performance of a professional golfer, refines it with computer modelling and confirms the results with the writings of well-known golfers such as Bobby Jones, San Snead, etc. The primary objective of the golfer is to increase clubhead speed and thus ball flight distance. Clubhead speed is proportional to power. The models presented explain the sources and generation of power. According to the author, 71% of the power comes from the golfer's muscles, 13% from gravity, 16% from the lateral shift towards the target. Distinguishing between stroke characteristics that are well-founded on physical principles over style. Trying to hit the ball "harder" does not proportionally increase clubhead speed. According to the author's calculations, a 5% increase in power yields a 1.8% increase in clubhead speed. He points out that increasing power comes at the expense of accuracy. A professional golfer will hit the golf ball with approximately 2 HP force. To produce that amount of power requires about 32lbs of muscle. That amount of muscle is found in the legs, thighs and back; not the arms and shoulders. The estimated efficiency of the club swing, the ratio of energy transferred to the ball as it leaves the club face, is estimated for the standard swing to be about 30%. On an average length course, if the golfer can drive only 160 yards they should expect to loose 15 strokes to par. However, if they are able to drive 230 yards then they should not loose any strokes to par due to their lack of distance. For the yards in between: 170 (12); 180 (9); 190 (7); 200 (5); 210 (3); 220 (1). While the book accomplishes its mission, it is a technical book. Even with university-level physicals, albeit some 35 years in the past, it takes some level of concentration to get through the material. I think with a few simple alterations the material could be much more consumable by a wider audience. I completed my notes on the book. There is a lot to be said; this is a book that will require further thought and reflection. It has also opened the door to Stoicism; something to look at later. "Confronted with anomaly or with crisis, scientists take a different attitude towards existing paradigms, and the nature of their research changes accordingly. 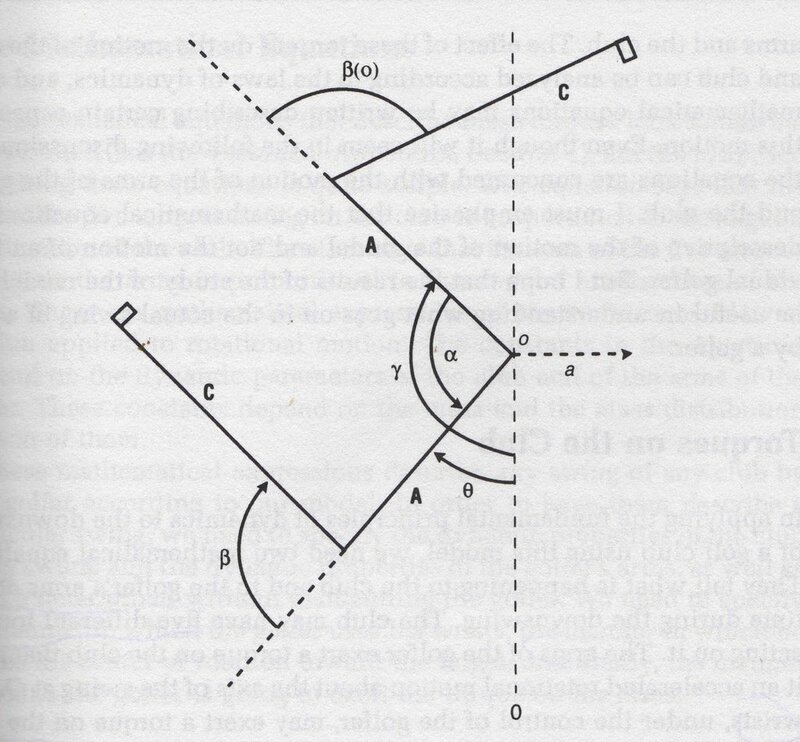 The proliferation of competing articulations, the willingness to try anything, the expression of explicit discontent, the recourse to philosophy and to debate over fundamentals, all these are symptoms of a transition from normal to extraordinary research. It is upon their existence more than upon that of revolutions that the notion of normal science depends." Gwynne Dyer argues in his book Future: Tense, the coming world order  that we are some 60 years into a 100 + year project to establish a system of international rules of conduct (or laws) and the institutional support to see them through. Dyer argues a central role for the United Nations in this project. While some have attributed failure to the UN, Dyer claims success with the simple statement that it has met its purpose: to avert World War 3. Dyer's thesis is that this project is in jeopardy because of the execution of a policy of unilateral, pre-emptive action against suspected criminal or terrorist nations being executed by the Bush administration which is outside the established framework of laws developed over the last 60 years. The concern put is that if this action is successful and continues it could lead us back to the time of the early 20th century when alliances where the mechanisms used by states to protect themselves. Based on history, alliances have not been successful in averting war. Dyer offers an interesting perspective providing insight into why certain things have and are happening on the world stage. His argument on the success of the Unitied Nations and the world community to establish a framework of law to manage war (basically make it illegal) is compelling. The argument of the value of this framework just makes the risks seem all that more intense. One can only hope that the period we are going through is like a period in science described by Thomas Kuhn as a revolution and although it may be uncomfortable, it is a normal part of the process and we should have faith that we will make it through. However, if one argues that the project actually started with the League of Nations and the first "revolution" has already been transitioned--World War 2--then faith may not be enough.